Redmi Note 7 Pro was launched February this year and it garnered a lot of appreciation for offering a 48MP primary camera at an affordable price. The smartphone sports a 6.3-inch Full HD+ waterdrop notched display with a screen-to-body ratio of 81.73%. At the time of its launch, the Xiaomi Redmi Note 7 Pro ran Android 9 Pie skinned with MIUI 10. However, a month after its launch, the Redmi Note 7 Pro has started getting a new update as Xiaomi is finally rolling out its new MIUI Global Stable ROM update for the device. The update comes with fixes, improvements and March’s security patch. The update for the Redmi Note 7 Pro holds the version number MIUI 10.2.8.0.PFGINXM and it is around 324MB in size. 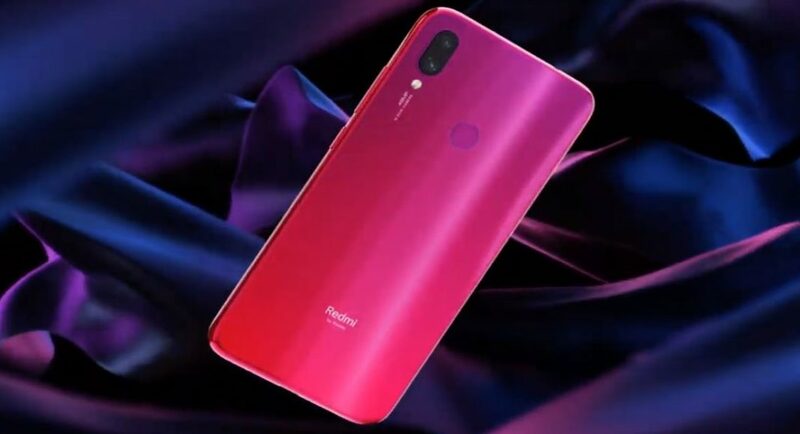 The users of the Redmi Note 7 Pro will receive a notification about the update once it is available but if they don’t they can go to the official Xiaomi forum and download the ROM for the update. They can also download the incremental zipped update file. Once it is downloaded, the users need to flash it using the recovery mode. However, it should be noted that to be on the safe side, users are recommended to take a backup of all their data beforehand and keep their device’s battery above 30%. The changelogs of the new update for the Redmi Note 7 Pro includes the March security patch, and a fix for the call time bubble which overlapped with the notification icons. The update also brings an updated and increased security for the system. Other features that have been added include fixes for the lockscreen, status bar, notification shade and some minor fixes over the previous version of the MIUI. Recently, a high-end variant of the Redmi Note 7 Pro was launched in India with 6GB RAM and 128GB storage. Earlier this variant of the device was not available in India. The new variant of the device is priced at Rs 16,999 and it comes in three colour options — Neptune Blue, Nebula Red, and Space Black. The 6GB RAM variant of the Redmi Note 7 Pro holds all the specifications as the other models of the device aside from the RAM and storage. The new variant is powered by the Snapdragon 675 SoC and has a 4,000mAh battery with Qualcomm’s Quick Charge 4.0 Support. As mentioned above, when launched, the device ran on Android 9.0 Pie skinned with MIUI 10. It comes with a dual-rear camera setup which comprises of a 48MP main sensor with an f/1.79 aperture paired with a 5MP depth sensor. On the front, there is a 13MP selfie camera. For connectivity, the Redmi Note 7 Pro comes with 4G VoLTE, Wi-Fi 802.11ac, Bluetooth v5.0, GPS/ A-GPS, USB Type-C port, and 3.5mm headphone jack.